To ensure our Cats stay healthy we need to give them Multivitamins to improve their health and give them a long, healthy happy life. That is why I would recommend giving your Cat Pet Bounce Multivitamin which is a advance formula that is created to help your Cats health and well-being. But as Cat parents we can tell when our little feline friend is hurting. 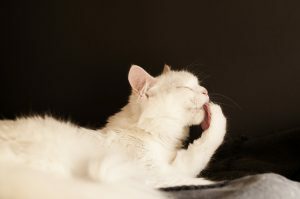 Cats spend around 30% of their life grooming and if your Cat is suffering from arthritis then you will notice that he does not groom himself as much due to pain. 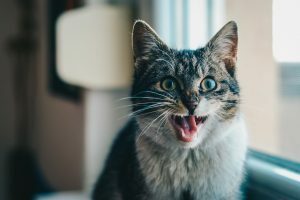 Cats with arthritis may become more aggressive and snap or bite you when they are approached or handled, especially if they are being stroked or petted in such a manner that it just increases their pain. If your Cat does behave like this, please do not shout at them or punish them because they are not at fault. Have patience. Your Cat will find it difficult to get in and out of the litter box due to the pain. 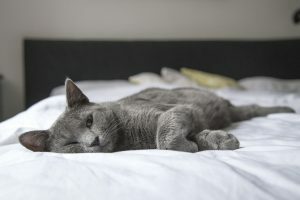 You see Cats suffer from the pain and swelling of arthritis just as we do but you can help them by getting the best Cat Arthritis supplements. If your Cat is undergoing joint discomforts from normal daily exercise or just normal daily activity then Joint Max Liquid can help. Looking through the reviews Cat parents have said just by going through half the bottle of Joint Max Liquid their Cat has made a big difference already. Joint Max Granules is recommended for joint health with powerful active ingredients that enhance the functions of joint and connective tissue as well antioxidants to help reduce oxidative stress. The great thing about Joint Max Granules is the speedy results Cat parents have seen after giving their Cats these capsules. Three weeks in and Cats are now jumping and running again which results in a happy Cat and that is the ultimate goal. Cat Parents who have used this have said it is easy to give to their Cats as they like it and have seen improved results very quickly. Arthrimed Powderis a tasty oral treatment that can cure the pain of arthritis. Not only does it cure it but it also improves the joints as well as the tendons. I’ve been using Cosequin, is there a marked difference between it and the others mentioned above?